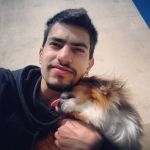 I’m Prodromos Aivatidis and I work as a Jr. Full Stack Developer while studying Information and Communication Systems Engineering at University of the Aegean. For the past year I also contribute as a technical editor and Web Admin on PowerPolitics.eu. My experience mainly comes from Web Development, but I also have experimented with Mobile Apps, Network Design and more.